At last a prominent Labour Party member is expressing the concerns felt by many people living in England. The CEP attended the Centre for English identity and Politics event on the 18th January when ‘English Issues in the 2015 General Election’ were discussed. During the event, one Pollster mentioned that in their survey, 83% of potential Labour voters had stated ‘that they had switched their vote away for Labour because they were concerned about the SNP holding the balance of power in Westminster’. Those concerns are genuine and the Labour Party urgently needs to address that issue. The best way forward for the Labour Party is to create an English Labour Party and then support the establishment of an English Parliament. OK maybe I got a bit carried away there as the Labour Party is still struggling to talk about England! but a first tentative step could be that they commit to producing an English manifesto and Labour MPs could support Toby Perkins’s Private Members Bill that is calling for an ‘English National anthem’ on the 4th March 2016. Please read John Denham’s article. his concerns are ‘bang on the money’. Labour is still a world away from understanding what happened to it in England or Scotland, warns John Denham. 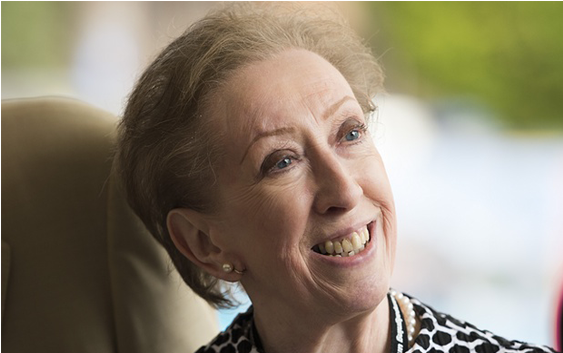 By common consent, Margaret Beckett worked hard to produce a balanced account of Labour’s defeat, successfully avoiding ‘handing victory’ to any of the party’s warring factions. But in one respect, Beckett’s report describes an election that is a far cry from what actually happened. Although she recognises the scale of the defeat in Scotland (and Labour’s modest seat and vote gains in England), she doesn’t spell out that the political contests in those nations were very different. The battle with the SNP in Scotland had very little in common with English Labour’s confrontation with the Tories: the issues, the language, the imagery and the framing were all quite distinct. To read the report, you could be forgiven for thinking that Scotland was just a region of the UK where Labour did particularly badly. Labour in Scotland didn’t just lose to any old political party; it lost to one that successfully framed its politics in the language of popular nationalism. It’s a mistake to lump popular nationalism together with all other forms of populism. Nationalism can be populist in irresponsibly evoking simplistic and emotive solutions to complex problems, but it is not necessarily so. Nationalism can be a way of expressing a common sense of identity, direction and purpose. We might disagree with what they say, but that’s what the SNP appears to have achieved. The costs of ignoring popular nationalism are clear from the report’s conclusion about Labour’s future direction. It calls for “A vision for Britain” and continues “we must set out a vision for the country’s future, which shows both what the country needs and what we will contribute to its achievement”. For all those who either don’t see their country as Britain, or only partly as Britain, there is something missing here. Such old fashioned language betrays a deep seated hope that some form of ‘normal politics’ will soon reassert itself and we can go back to ignoring identity and nation and deal solely with the whole. It’s not going to happen. Either Labour learns to talk for Scotland (as well as for Britain) or we will continue to lose in that nation. Maybe the report tacitly assumes that Labour’s Scottish battle is something separate. Certainly the analysis of the campaign issues are largely focussed on the arguments in England. But here, too, the report misses the emerging importance of distinct English themes in the 2015 campaign. Most obviously, fears of the SNP ‘propping up a Labour government’ dominated the last two weeks of the campaign. The report rightly concludes that the impact on the result is controversial. It may not have swung millions of votes but almost certainly persuaded sufficient anti-Labour UKIP and LibDem voters to go Tory to keep Labour out. This helped to defeat both Labour and LibDem candidates. The media obsession with the maths of a hung parliament saved the Tories from scrutiny and obscured the Labour and LibDem messages, but no one can say the SNP wasn’t a real talking point on the doorstep. The precise circumstances of the ’SNP threat’ are unlikely to reoccur, but, the election confirmed the emergence of large groups of English voters who now see elections in terms of ‘what is in the English interest’. The idea that there is an English interest, distinct from and possibly threatened by the interests of other parts of the UK is new. This feels like another genie that is not going back into the bottle any time soon. Studies after the election, including the British Election Survey, reveal sharp differences between the voting patterns of voters who identify as English and those who identify as British: the ‘English’ are more likely to vote to the right and more likely to be anti-EU. Put this together with the upward rise in English identity, and it’s clear Labour has a problem. Either the party finds a way to address and express the English national interest or it will risk losing the ear of a substantial section of the electorate. Significantly, the Beckett report concludes that ‘no one envisaged’ Cameron’s call for English Votes for English laws’. Yet it was both predictable and predicted (including by myself); it was in the Tory manifesto, big hitters like Kenneth Clarke had come into line, and crucial ground work had been done by the Mackay Commission. The leadership did not want to envisage it because they did not recognise its potency, just as they signed up to ‘the Vow’ blithely ignoring the resentment this would fuel amongst English voters. John Denham was a Labour MP from 1992 to 2015, and a Secretary of State 2007 to 2010. Be the first to comment on "The missing word in the Beckett Report: Nationalism"